With Breakaway Points you can earn your way to checking experiences off your bucket list! Every $10 you spend earns you 1 reward point. Keep earning Breakaway Points and watch your points add up – with every birthday, wedding, anniversary and Christmas gift you buy you get more and more points – once you’ve earned 100 rewards points you can start having fun…on us! 100 rewards points = $50 towards the purchase of an experience or gift certificate. 200 rewards points = $100 towards your purchase. How do I redeem my Breakaway Points? Once you earned a minimum of 100 points you can begin applying Breakaway Points towards your purchase of an experience. 2. From the My Cart page, click checkout. 3. Click continue to confirm your billing address. 4. On the Payment Method page, check the box "Use my Breakaway Points" and click continue. 5. If there is a balance remaining your balance will be displayed. Continue with the checkout and payment process. How do I check my Breakaway Points balance? 1. Click on "My Account" from the main menu. 2. Select Breakaway Points from the My Account Menu on the left hand side. Breakaway Points may only be used for purchases of experiences and gift certificates on Breakaway Experiences' website. 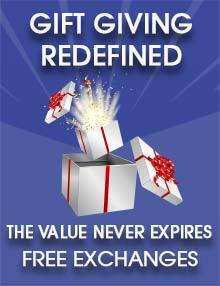 There is no cash value to the points and no expiry date. Terms of the program are subject to change at Breakaway Experiences' discretion.